After posting strong TV ratings during the early rounds of the playoffs, the World Series is off to a huge start with fans, averaging more than 19.0 million viewers through two games, according to Sports Media Watch. That’s up 32% from last year and matches the Yankees-Phillies matchup in 2009 for the top-rated World Series in the past 11 years. 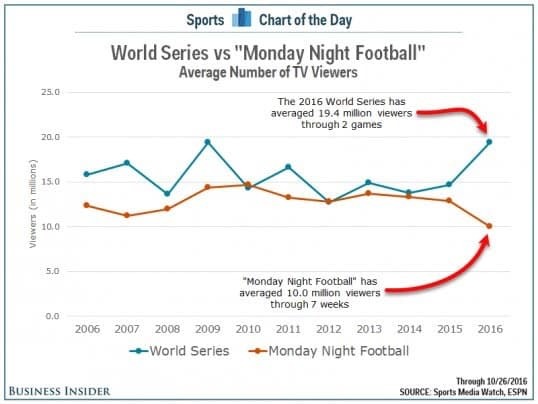 Over the last few years, the average World Series game has drawn a TV audience that was comparable to a “Monday Night Football” game. 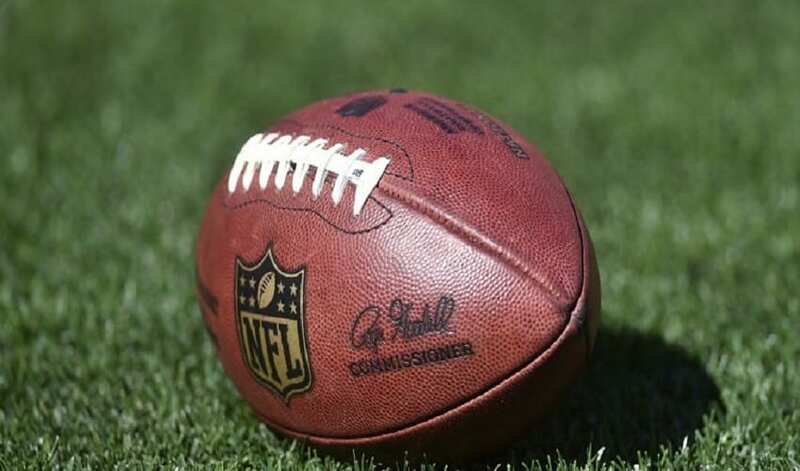 But while the World Series is way up this year, “Monday Night Football’s” average audience is down 22%, much like the rest of the NFL. This suggests that the presidential election can’t be the biggest culprit. So, if the presidential election is not the biggest reason for the NFL’s decline, what is the explanation? Others have blamed poor matchups, a decline in the quality of the product, an increase in other entertainment options, and even just a natural correction that was inevitable for something so immensely popular. Like most things, the true answer is probably some combination of the above. But whatever the reason, it has to scare the NFL. Because if it is not the election, there is no guarantee of a rebound next year. NOW WATCH: Sports agents reveal the biggest threat to a player’s financial success.